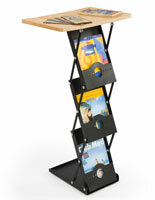 Products like this folding magazine holder with desktop are multifunctional displays for trade show exhibits. 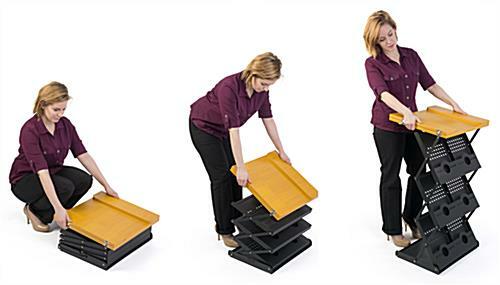 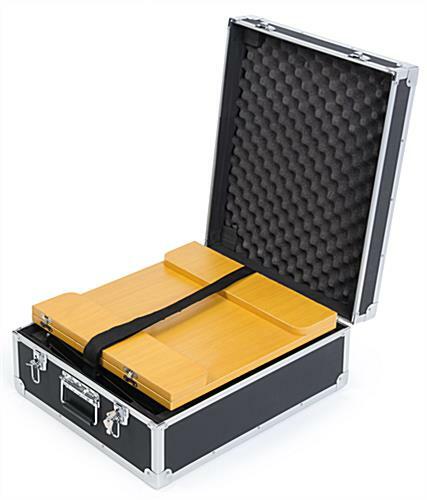 With its collapsible design, this literature stand assembles quickly and stores easily in the included padded carry case. 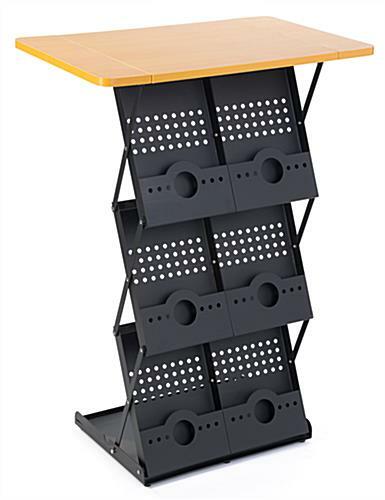 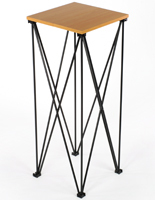 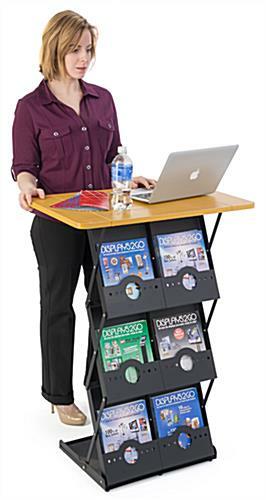 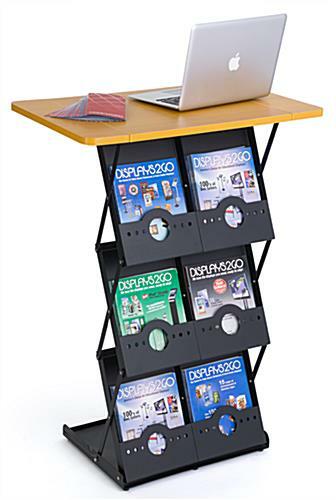 This floor standing magazine holder with desktop is constructed with steel and a wood MDF countertop for a multifunctional display that is built to last. 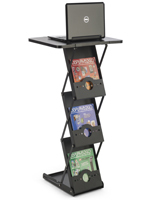 With a versatile design, this literature stand doubles as a lectern and work station. 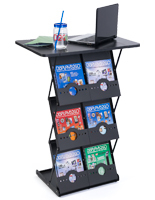 At 33-lbs., this double-wide trade show podium with wood desk also provides a demonstration space for products. 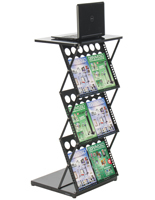 For those looking to streamline their trade show booth, this magazine holder with desktop is an all-in-one literature stand that acts as a display counter, periodical dispenser, work station, and speaking podium - using up a very small footprint in your booth.